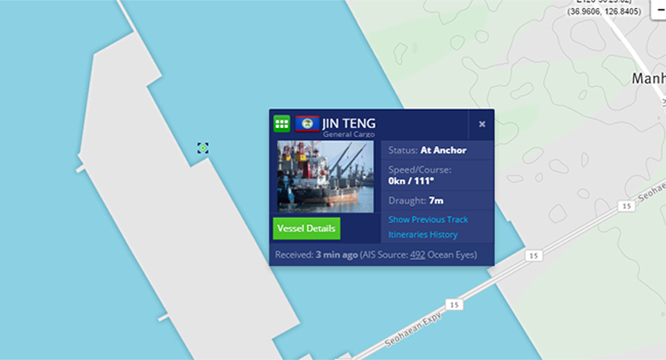 A vessel previously sanctioned by the UN and still designated by the U.S. Treasury Department continues to make use of South Korean ports, the NK News vessel tracker shows. The Belize-flagged cargo ship arrived in the South’s Pyongtaek port on Monday at 8.50AM. Satellite imagery indicates the 6800 tonne Sheng Da 8 (previously called the Jin Teng) is currently docked near concrete handling facilities owned by Hyundai. “Currently, South Korea is only following the guidelines of (UN Resolution) 2270, not the sanctions of the Treasury, so for now, the Jin Teng can enter our ports,” a representative of the Shipping Logistics Bureau Ministry at the Oceans and Fisheries told NK News. The vessel was at the centre of a brief diplomatic spat in March when it was designated by the UN for links to North Korea’s Ocean Maritime Management (OMM), a shipping company involved in weapons smuggling. The Sheng Da 8 was subsequently detained in the Philippines but was later released after Beijing insisted the Chinese company operating the vessel had no ties to OMM. The UN removed the ship from their blacklist along with three others, but Washington left its designations intact. “OFAC (Office of Foreign Assets Control) has identified the following nine vessels as property in which previously designated Ocean Maritime Management Company (OMMC) has an interest,” the U.S. Treasury said in March, a list which included the four ships that were later removed from Resolution 2270. The Treasury Department’s press release and list of designated entities do not give further information on how the ships were tied to OMM, or how the links were established. According to the Equasis database and port inspection records the Sheng Da 8’s owners operate a number of vessels, most of which appear to make frequent visits to South Korean and Japanese ports. The Sheng Da 8 previously called in at South Korea’s Ulsan port in June. Authorities at the time told NK News they believed the vessel was now totally in Chinese hands. “It is now owned by a company based in Hong Kong, while management and operation are in Chinese hands. The ship is practically Chinese … During the joint inspection among related organizations, including the NIS (National Intelligence Service), we did not find many problems,” a logistics officer at Ulsan port said. Since the vessel was designated it changed both its name and flag, though inspection records show it is still managed by the same company based in China’s Weihai. Blue Ocean Ship Management first acquired the cargo ship in 2011 and in that time the vessel has reflagged and renamed numerous times. While a vessel on the UN’s blacklist would no longer be allowed to enter any member state’s ports, the possible effects of a U.S. designation would depend on the Department of Treasury’s willingness to enforce it. 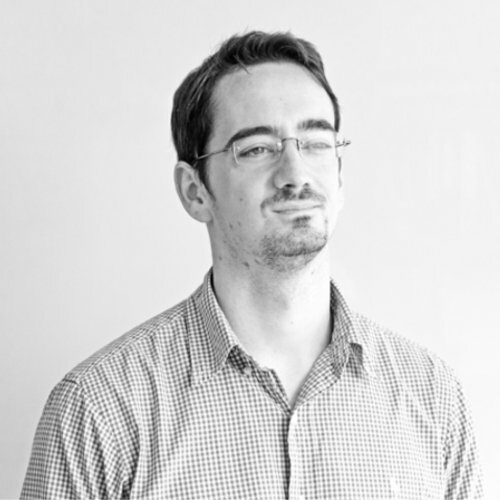 “As an initial, practical matter, being on the U.S. SDN list means as much or as little as the Treasury Department decides it does,” Joshua Stanton, an attorney and author of the One Free Korea blog wrote last April about another ship sanctioned by Washington, but not the UN. Subscribe to read the remaining 532 words of this article.